The winter of 2017/2018 have brought back snow, in plenty, to the Nordic, my region. And the country as a whole. It would be correct to say this winter will go down in history as a snowy “blast from the past”. 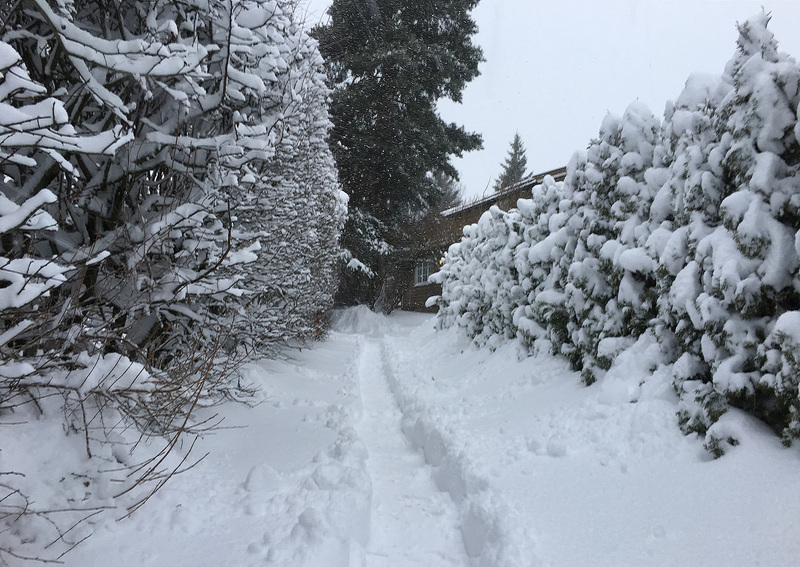 The walkway up to our house, early in January and since it’s been a lot more snow! Who knows, maybe it does represent changes in the (global) weather pattern. A new norm, an anomaly in a lasting trend of anomalies. If it does, the change does bring a lot of water in the shape of snow crystals, over the woodlands, hills and mountains of Norway. We’ve very rarly have shortage of water in this country, coming spring it might become very evident. The mountains are overloaded with record amounts of snow. I’ll admit right away, the thought this water perhaps better should have fallen somewhere else on the planet, have occurred to me, more than once. Yet, Mother Earth changes, all the time, and there’s very little we can do about it, save control our emissions. For those of us who lives, and have lived for long, up north, winter and snow means an opportunity to get up, and get out. When you live in our region, you have the alternatives of getting annoyed, depressed, avoid it, or use it for some good. Being a Norwegian, who’ve skied since around when I learned to walk, I use it. Although short for time, think this will be a record season for me, with regards to skiing miles (or kilometers). Every weekend I get out, or try to get out, both days. When it’s winter, and it’s cold, you have, (very) simply put, a couple of options. Stay indoors, partially be miserable, scurry about outside freezing OR.. dress properly, spend some energy outdoors. If you do, low temps won’t mind you the least bit. 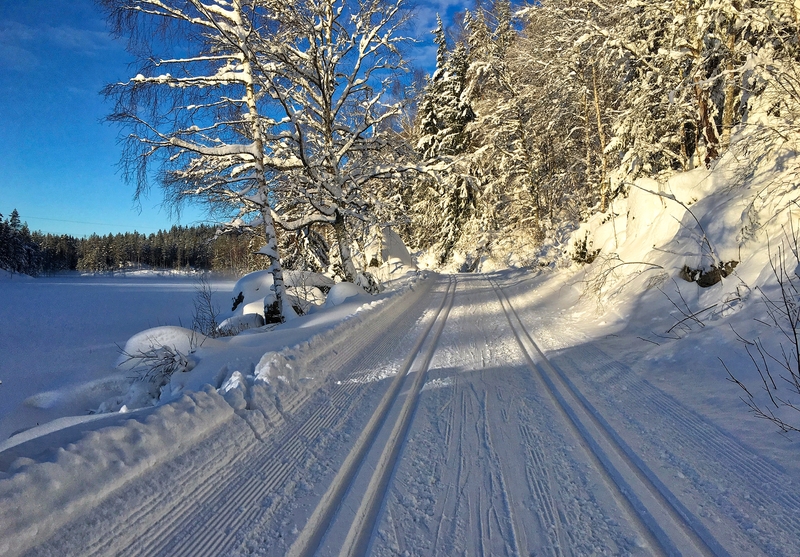 Nordic skiing is probably one of the best forms of training there is, at least to me. It’s like a pack of exercises, all intertwined, a bundle of muscular, skeletal challenges. Plus some mental ones. The latter is no less important than the first. When you ski you use many muscles in all regions and areas of your body. To max things out, you must also put your mind to any challenges, especially the uphill ones. Muscle aching in the beginning of every season, gives an indication about just how many muscles are put to use. Once you master the basic techniques, for most it does not really take a whole lot, save some practicing, your body will let you know what is happening. 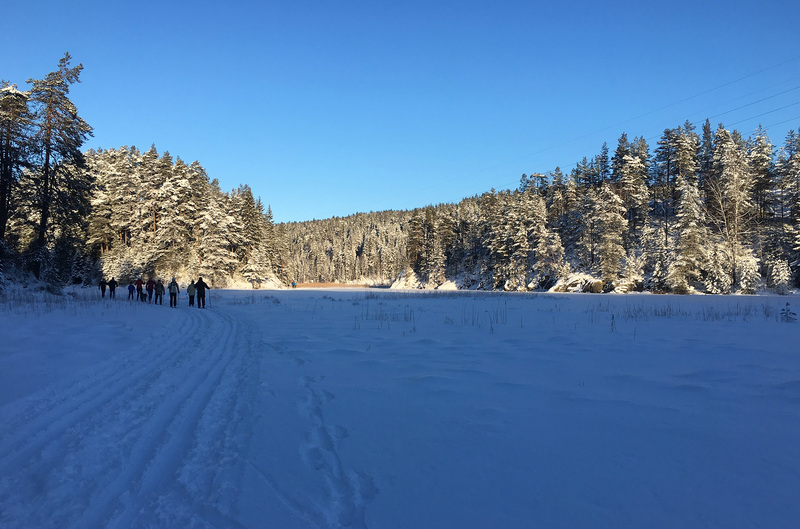 Whether as a cardiac workout, or training of muscles, or means of transportation, Nordic skiing does offer all of the physical challenges. To what extent depends on how you ski. Then there’s the mental aspect, like climbing uphill. These may represent challenges you tackle with speed and force, and little accomplishments, once you’re up. I am not saying downhill, slalom, snowboard and so forth, aren’t good alternatives. For sure, those disciplines can be very demanding too. But Nordic, or cross-country skiing to me is a more diverse form of movement, and exercise. I cannot recall having seen so many people, and also older people, out skiing, as this year. Which proves again what I’ve said earlier. This winter has brought classical, historically splendid conditions to the doorstep of urban life. No longer a prerogative for those who lives further north, or out in the countryside. The descent of a real winter around the city of Oslo have kicked people, by the thousands, out in the tracks. And these exist in plenty. According to Visit Oslo there are more than 2.600 kilometers (or 1.600 miles) of maintained tracks around the city. Oslo is surrounded by a fjord, hills and woodlands. You don’t have to travel far to get away. Mid/late January 2018 and the conditions were near perfect. Norway is, despite the traditional challenges of all nations, also a nation of pretty good health people. In this respect I am absolutely confident a traditional winter will have an impact. 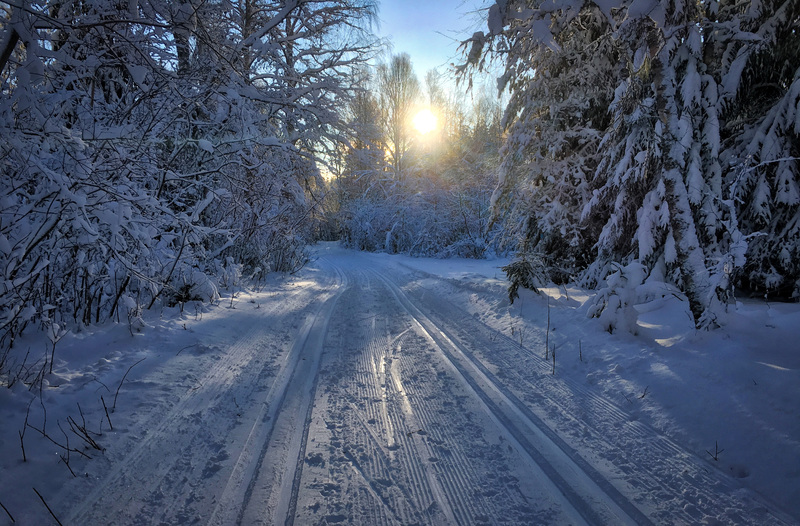 Nordic skiing is a simple, inexpensive sport and form of exercise. It does not require huge investments, a lot of complicated gear. Traditionally there was this challenge of waxing, finding the right combination to suit various conditions. This has since been, largely, solved by “wax-free” skis. This is a good solution if, like me, you’re either terrible at waxing correctly, tired of it or… have no concept of what it means. I got me a pair of these this year. They also go by the name of “climbing skis” or “fell skis”. They’re constructed with some synthetic skin like material fields right under the middle of the sole. Combined with ski stiffness and shape, this causes them to compress to stick to the snow when you kick back. Or put your weight, directly down. Close of up a pair of Nordic “fels skis” or wax-free skis. This really works! 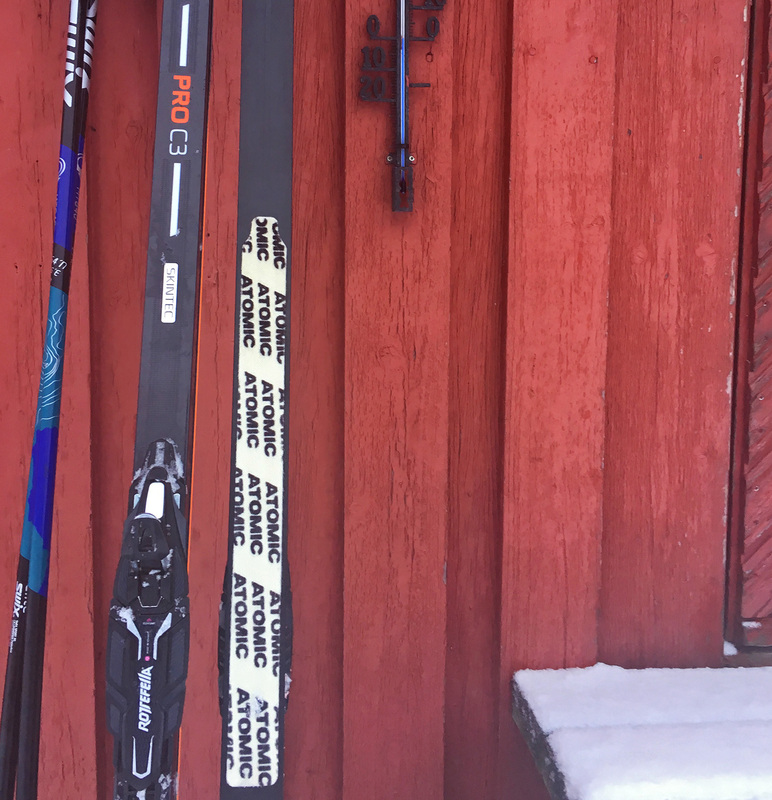 These skis quickly transformed my experience completely. Although they are not universally good, or work equally well under all conditions and temperatures, compared to previous experience it’s been awesome. This type of ski is best on temps in the range of -5/-6C and up on the plus side. Something I used to dislike, intensely. More often than not I didn’t get the waxing right, with the result that snow packed itself in sticky lumps onto the sole of the skis. Not this year! Already have tested skiing with the new pair in +2 to +3C, on wet snow. It was awesome, the stuck and glid at the same time. This means that for me, the potential of ski-based exercising will continue for a while longer. Until one day it melts away, and I have to return to other means of exercising. This entry was posted in Daily rant, this & that, Environment, life, politics and tagged Exercise, Nature, Skiing, Winter. Bookmark the permalink.